With more bicycles on the road, whether they are sports cyclists or commuters, motorists need to become more sensitive to cycle traffic. The cycling community in Malta is growing. More and more cyclists are gliding past cars drivers fuming as they crawl along in the daily traffic jam. If only there were more bicycles out there and fewer cars clogging our roads. At a talk last month, freelance sustainable mobility consultant Peter Biczok spoke of a “very vibrant” cycling community in a number of different countries, not least Malta. Originally from Budapest, he notes that Vienna and the cycle-share pioneering city Lyon compared favourably with Moscow, London and Brussels when it comes to transportation. Despite the fact that the number of people who cycle in Malta is still a relatively small percentage of the Maltese population, the island is cycling ahead toward active mobility with a growing number wanting to walk, cycle or use the bus. Having gained understanding about traffic issues while working as a bus driver in a “car-dependent” UK town, Peter went on to further his studies in transport. In 2013 he obtained a University College London master’s degree in transport planning and began work with a transport and environment NGO in Brussels. Engaging in further research, he looked at attitudes towards cyclists and the cycle infrastructure. He helped advise the EU Commission on how to improve transport in the EU and joined the European Cycling Federation, but felt more was needed. The answer was to set up an organisation named Bicyclise – a transport initiative focused on sustainable transport advocacy. It includes forecasting and GIS services for cities that want to make cycling as attractive and accessible as Amsterdam – the city most known for bicycles. The next step would be automated data collection with transport and market analysis. This would be followed by transport planning, data visualisation with GIS and marketing consulting. The final stage involves taking a look at asset management and a cycling scheme consultancy. Coming to Malta from the Netherlands, where Peter has been living and working, the difference was immediately striking. One of the first things he noticed was the high number of car showrooms and petrol stations on the island. Speaking on streetscapes and how to reduce traffic while claiming back public space, he stressed the need to put “some kind of value on public spaces – otherwise they are often abused”. On Transport Malta’s national strategy and master plan his verdict is that it is “promising – but they need to engage people to support it”. In economic terms, health benefits of cycling for the Dutch have been calculated to be equal to around three per cent of the national GDP. Dutch cyclists going about their daily business regularly cover an area by bicycle in and around Amsterdam which is larger than Malta. 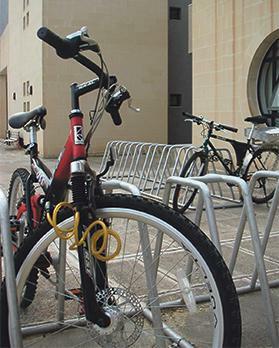 According to local cyclists the distance between Fgura and Mater Dei Hospital (seven kilometres) can be covered by bicycle in nearly a third of the time it takes to make the trip by car at the height of the rush hour. At an average cycling speed of 15.5 kilometres per hour the bicycle is much quicker than using a car. Even walking is faster than driving from Fgura to the University in peak traffic as you are likely to arrive about 10 minutes ahead of a car leaving at the same time. One happy cyclist reported “…commuting to University, arriving at my faculty, parking right by the door, having a sip of water and entering my lectures while my classmates were still looking for parking in Swatar”. Swatar is a good 15-minute walk away from the University campus, across a busy highway. So why do people still insist on using cars? Cycling blogger Ryan Saliba has worked out how cycling can save on fuel and help the environment. Assuming a €20 weekly fuel bill amounting to over €1,000 yearly, he reckons that even when commuting by bicycle for only half the year, a savings of €520 can be had – “…enough to get you a pretty decent new bike!”, he adds. A public bike sharing app is now up and running in the North Harbour area with pick-up and drop-off points between Pembroke, San Ġwann and Sliema Ferries.